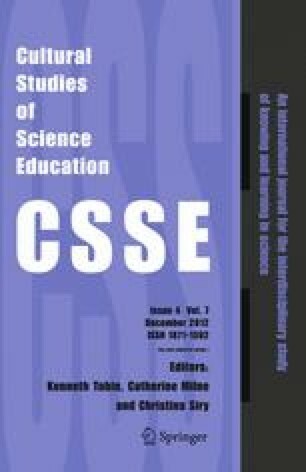 This paper is a response to “Challenges and Opportunities: Using a science-based video game in secondary school settings” by Rachel Muehrer, Jennifer Jenson, Jeremy Friedberg, and Nicole Husain. The article highlights two critical areas that I argue require more research in the studies of video games in education. The first area focuses on the need to better understand how children interact with non-educational games, outside of the school setting. This includes issues such as “gamer culture” and game play styles. The better we understand these issues, the better educational game designers and implementers can imagine the kinds of behaviors that might be elicited from students when we bring educational games into their classroom. In this focus, the student is the unit of analysis, but it is the student in and out of the classroom: the way the student understands video games when she is at home, playing with friends, and at school. The second area focuses on the study of the classroom as a unit of analysis. As the authors of this study reveal, classroom cultures affect the reception and success of an educational game. This is to ask, how does a game play when students have to play it in pairs or groups for a lack of resources? What is the role of the teacher in the success of video game implementation? How does a game react to multiple server requests in a short period of time? These are issues that are still largely unexplored in the educational game design literature. Forum response to Muehrer, Jenson, Friedberg and Husain (2012). Challenges and opportunities: Using a science-based videogame in secondary school settings. Lenhart, A., Kahne, J., Middaugh, E., Macgill, C. E., Evans, C., & Vitak, J. (2008). Teens, video games and civics (Pew internet and American life project). Retrieved from: http://www.pewinternet.org/~/media//Files/Reports/2008/PIP_Teens_Games_and_Civics_Report_FINAL.pdf.pdf. Wilson, L. (2009). Best practices for using games and simulations in the classroom: Guidelines for K-12 Educators. Washington DC: Software & Information Industry Association. Retrieved from http://www.siia.net/index.php?option=com_docman&task=doc_view&gid=610&tmpl=component&format=raw&Itemid=59.